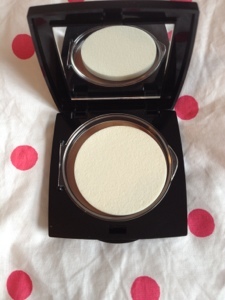 Today I'm going to be talking about the HD Brows Bronzer that has been recently released. 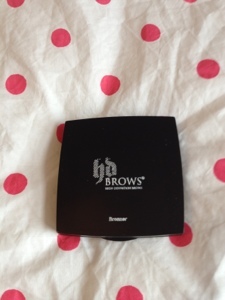 I got quite excited when I was sent this to try out, I have the HD Brows pallet but I don't really tend to use it all that much as I'm quite lucky in the fact that my brows are quite uniformed and don't really need filling in, I also have their tweezers as well, which I love and are still going strong despite the constant use over the past few months. So, on the whole, I've tried the brand out but other than the tweezers, I haven't had much use for using their brow products so I was really excited to see they had a new range of blushers and Bronzers coming out. 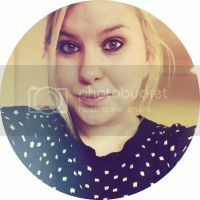 I use Bronzer every day, and I'm normally quite loyal to the Benefit Hoola Bronzer but it's always good to try something new. 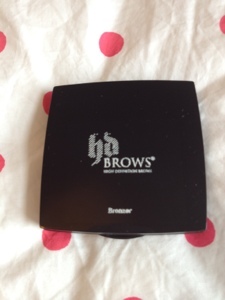 The packaging of the HD Brows Bronzer is very similar to the brow pallette, a glossy black box with the white branding across the top which I really like, it's simple, classy and easy to transport. It also has a mirror in it which makes it great to keep in your handbag in case you need a touch up throughout the day. It does come with a sponge in the container as well which I found a little strange, I'm not sure why you'd put this product on with a sponge if I'm honest (unless I'm missing something?) but that's not an issue as it can be easily taken out leaving a little plastic protector covering the bronzer itself. 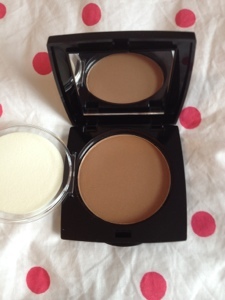 So, onto the product itself, it's a medium coloured brown that gives a lovely glow to the skin when sweeped across, it's quite pigmented but if you use a light hand you can make it quite sheer which I like because it means that I can go for a really natural look or build it up if I want more colour. It does have a golden shimmer running through it which I'm not so keen on, I prefer a matte bronzer personally so that I can add shimmer via a highlighter if I want it, however, for those that like a shimmery Bronzer, it's great and during the summer months, I haven't minded the extra glow this gives my face. I probably would keep this for use during the summer or for those days that you are in a rush and want a 2 in 1 product. Overall, I've really enjoyed using this and was pleasantly surprised, when I first opened the packaging I was a bit disappointed to see the shimmer running through the product but it's not too overpowering and that's just down to my own personal preference. 1 comment on "HD Brows Bronzer"